Consider it your light at the end of the tunnel to get you through the cold, rainy months. The crowd at the main stage during Pickathon 2017. 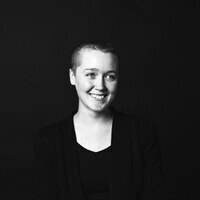 IMAGE: Sam Gehrke. 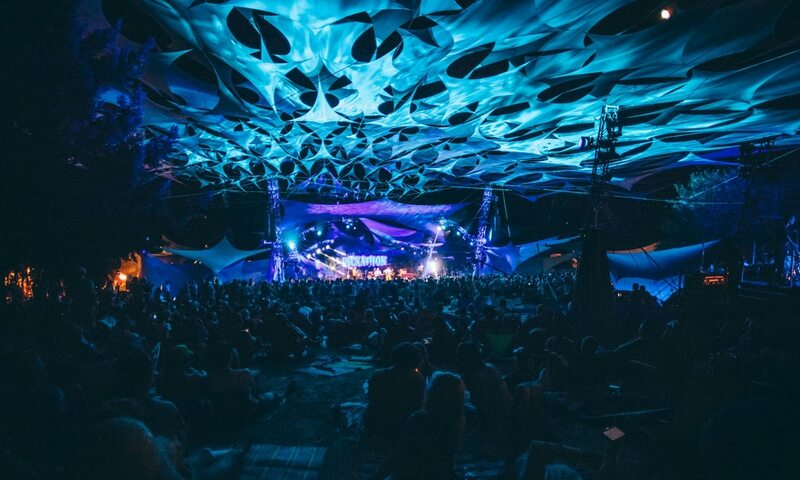 Pickathon has released the preliminary lineup for the festival's 21st iteration. Now that winter has a fully arrived and Portland is cold and rainy all the time, it's a nice reminder that in August, you'll be able to hangout and see music in a forest for four days. As usual, the festival's headliners are a mix of NPR-friendly Americana and world music. That includes the jazzy, continent-hopping psychedelia of Khruangbin, who played two sold out shows in Portland last year, and acoustic folk mainstays Mandolin Orange, whose performances at 2017's Pickathon were characteristically idyllic. Nathaniel Rateliff is on the bill twice, both as a headliner with his band the Night Sweats and as a solo artist. There are plenty of national bands on the list that had breakout years in 2018, like Bodega and Courtney Marie Andrews. But the best sets at Pickathon are often from local and regional musicians. This year, that includes Eugene doom metal band Yob, whose 2018 album, Our Raw Heart, was totally transcendent; folk songwriter Laura Veirs who released her 10th studio album last spring; and Seattle-based psych folk songwriter Damien Jurado, whose blissful "A.M. AM" got a boost last year from its inclusion in Wild Wild Country. And it was only a matter of time before Pickathon booked on-the-rise local grunge purveyor Black Belt Eagle Scout, whose festival debut will undoubtedly be a highlight. 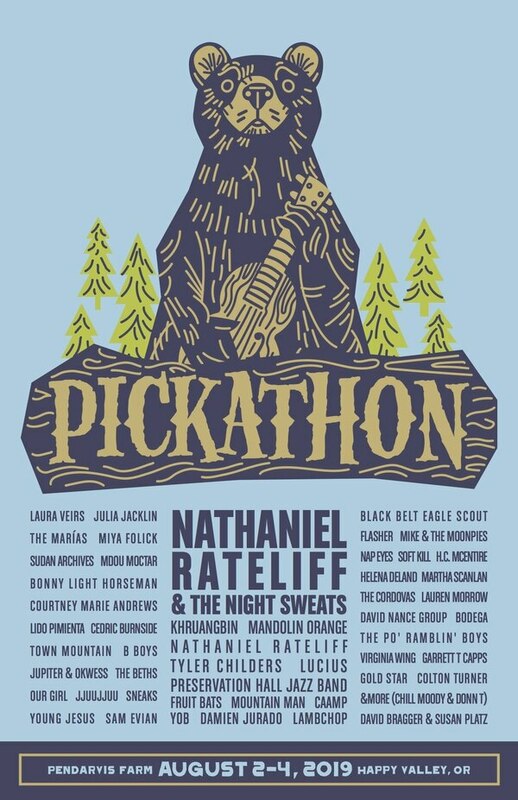 Pickathon will take place Aug. 2-4 in Happy Valley. Weekend passes are already on sale, and you can get them here. Related: How Pickathon Became Portland's Biggest Little Music Festival.